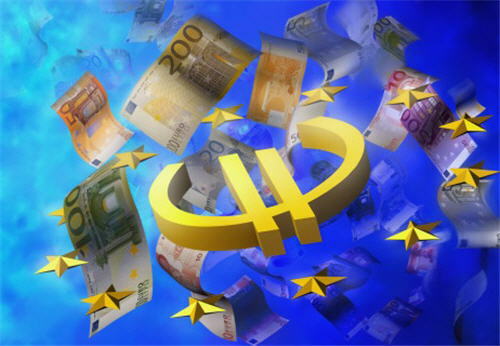 ECB President Draghi has sent the euro back down into the lower end of the recent range as he gave a strong signal that additional action could be delivered as early as March, the next meeting. The euro had approached the upper end of its range yesterday and now is slipping through $1.08. Draghi embraced and defended the ECB's action but clearly and unequivocally opened the door wide for more action. By indicating that rates will remain at current low level of lower is a signal that the -30 bp deposit rate has not exhausted room for more cuts. He asserted that the ECB has the "power, determination and willingness" to act. This is important because some have argued that the mild action in December meant that the ECB no longer had the will or means to take bolder action. Draghi is trying to refute this impression. Moreover, Draghi argues that the downside risks have materialized in recent weeks. The worsening of the conditions requires a review and reassessment of the ECB's stance. Review is straightforward. It is evaluating the impact of the actions. The reassessment refers to deciding whether more action is needed. It is clear that Draghi thinks it is necessary. The ECB has a mandate. He is committed to it. Draghi reiterated that the ECB will do "everything necessary to meet its mandate." The new staff forecasts that will be available in March will likely show that more effort is needed to reach its inflation mandate. European bonds have rallied and the euro has come off on Draghi's comments. The decline in peripheral yields is particularly notable as the recent increase had warned of new fragmentation. The euro itself has been largely confined to a $1.08-$1.10 trading range since last month's ECB meeting. There have been a few false breaks (moves outside the range that have not been sustained). A trendline drawn off the early December low (~$1.0525) and the low from earlier this month (~$1.0710) comes in today just below $1.08. Given the volatility of the global asset markets and growing conviction that the Fed will not lift rates in March makes us wary of another false break.